Would you like to sign up to our Monthly Email Newsletter? Just click on the link below and fill in the form with your email address and name. You will need to confirm request to join list on the email we send to your email address. 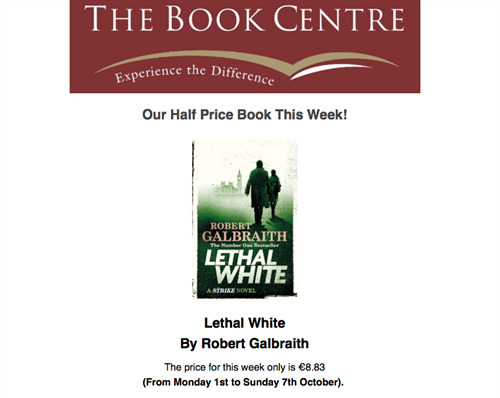 advance notice of all half price books for the month ahead! Click here to read our most recent monthly newsletter. Screen shot sample section of our October 2018 Email Newsletter. Click on the image to read our most recent edition.